I provide exceptional personal training, fitness, and nutritional services to those who desire to be fit and healthy. I am a professional all natural bodybuilder who eats, sleeps, and breathes health and fitness. I will work with anybody's financial situation. I have the firm believe that everyone living and breathing wants and needs to be in the best shapes of their lives. I hope I can be a part in your journey of attaining your health and fitness goals. 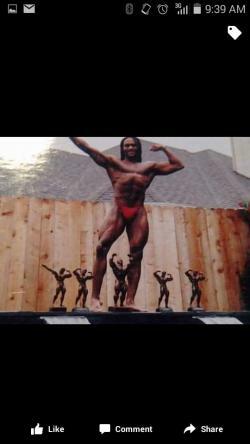 I have been a successful personal trainer and all natural bodybuilder for over 25 years. My clients have had exceptional success in their health and fitness endeavors.